Finally there's an easy way to integrate GPS data gathered with inexpensive consumer-grade GPS receivers into ArcGIS and other GIS systems. Using ExpertGPS, you can convert waypoints, routes, and tracks from any Garmin, Magellan, or Lowrance GPS receiver into industry-standard shapefiles for use as a layer in any GIS. 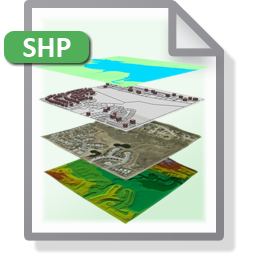 Update your enterprise GIS layers with data collected in the field using GPS. ExpertGPS can perform the reverse transformation as well, sending any GIS layer to your GPS receiver for viewing in the field. ExpertGPS handles all of the data reprojection and datum issues, so even if you're working with state plane coordinates in the office, and UTM or lat/lon on your GPS receivers, your data will always be geo-referenced correctly, automatically! Of course, there will always be situations where you'll require sub-meter accuracy and will have to rent a Trimble or call in a surveying crew. But you'll be amazed at how much time you can save by using ExpertGPS and a handheld Garmin GPS receiver to handle everyday tasks in combination with your GIS software.